Product #21135 | SKU SCR-16 | 0.0 (no ratings yet) Thanks for your rating! 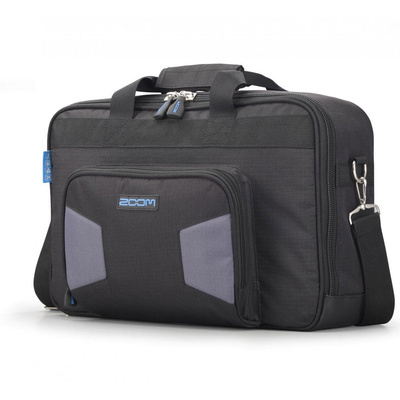 The Zoom SCR-16 Soft Case is an outstanding case for the zoom R16 or R24 recorder with room for accessories. The carry case is made of material that is both durable and protective for the contents and is fit with a shoulder strap to maximise connivance and comfort. The interior of the bag includes three main compartments, allowing you to carry a laptop computer, microphones, cables and other gear along with your Zoom unit.